One of the things that I learned FIRST about Social Media was that it is NOT an automated process. I CAN’T stress this enough, you can NOT set it and forget it. That is the makings of a lame marketer that is NOT in touch or engaged with their followers and this could mean a lot of missed opportunities for a business. More importantly, it could make the efforts that you are making toward social media null and void . This is especially so if you are not effectively reaching your target market because you are not posting at the proper time and/or auto posting to the wrong channel. You could really be missing the opportunity to engage your audience. This is one of the biggest flaws of automating your social media efforts. When I say Automation, this should not be confused with scheduling. I am not a fan of automation because it defeats the purpose of social media and that is the social aspect of it. One of the goals of social media is to reach out to people, engage and get in touch with your audience. Social Media creates an avenue in which business can reach out and get in touch with their clients, past, present and future. Also actively engaging on social media channels allows businesses to provide unparalleled customer service to current clients. Many companies are using social media as a channel in which to reach customers that may be having challenges and handle them before the can escalate. Scheduling social media, on the other hand is just the smart thing to do if your social media usage has reach the stage beyond recreational usage. As your social media and digital marketing responsibilities increase it is insane to think that you will not have to implement some form of scheduling as a way to manage your time more effectively in order to minimize the likelihood of social media burnout. If you are handling more than one social media brand it is almost imperative that some form of scheduling is in order. I must say that the extremely fast transition away from the primary use of traditional media and move toward digital marketing has really taken a lot of people by surprise. The quick growth of digital marketing channels as a huge part of a businessess marketing strategy has happend so fast that people in the digital media and social media industry have to be on their A game to keep up. So it is totally understandable that those that spend the majority of their time running their business are reeling from the quick transition so some of the tool that are available to help effectively manage workflow could be overlooked. Remember, scheduling NOT automation is the key to allowing you to manage social media task while taking advantage of all of the benefits of being more social in your marketing efforts. Nice post, I agree automation is not the way to go for general social media work. Scheduling is a must or you simply won’t be consistent enough to really grow your circle. Thanks for taking time to read and comment Ross! There may be some good uses for automation but I have yet to find one that is good for my marketing mix. Scheduling on the other hand is a must, I agree! I have mixed feelings about automation… I think I might draw the line a little farther out than you do, but I also agree there’s a point at which it becomes decidedly unsocial. I totally agree regarding scheduling it, once it’s become more than a hobby. What about distribution? Say, automatically saving to Delicious any links you share on Twitter? Or copying your Instagram images to Flickr? How about Twitter list maintenance, e.g., automatically adding people to a list who participate in a hashtag conversation? What about…quotes? I’m personally on a Napoleon Hill kick right now, and feel like sharing a Napoleon Hill quote every day. Do I have to set a reminder, go pick a quote, and manually post it? Of course not — like you said, automation is fine. OK… so how far into the future is automation OK? Just the next 10 tweets? What if I pick my 53 favorite Napoleon Hill quotes, then use SocialOomph to post them at a random time every weekday between 8am-11am Central? Is that still “scheduling” and “good” because it’s just doing what I would do anyway more efficiently? Or is that now “automation” and “bad” because it’s no longer “authentic”? One could make a very compelling case that Triberr is automation. Many people think that it crosses the “authentic” line, especially with the “Enable Auto-approve” feature. How is auto-approving a particular blogger’s posts on Triberr different from, say, automatically sharing on Twitter any time Mashable posts an article about LinkedIn, or HubSpot publishes a cartoon? It’s a trusted source that you know, in advance, you will always want to share with your followers. Why should you have to do it manually every time? Thanks for taking time to read and comment Scott. Automation has not been a fit for the needs of my marketing mix. I will never say never, but as of now it’s not something that I find useful for what I trying to accomplish. In this post, I just point out a few reasons WHY it is not good for my brand, it could very well be good for another persons needs. “Well if I’m doing A, and it’s OK, then B is just a more efficient version of A, so it’s OK too. And if I’m doing B, then C is just a more efficient version of B, so it’s OK.” And so on, and so on… until I get to version F, and it seems OK, by logical progression. But if you try to say that if A is OK, then F is OK, it seems like an awfully big stretch. As for the AB scenario..if it works for you do it. If it doesn’t don’t. Like I said Automation may rock for some brands, just not mine. 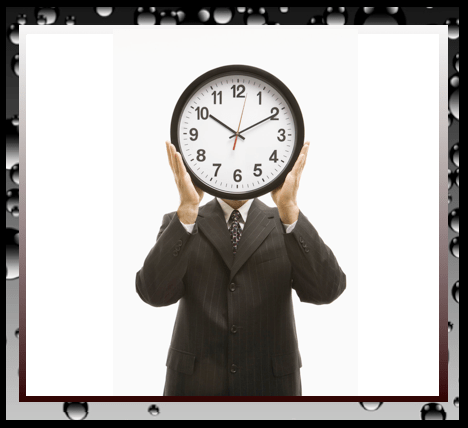 GREAT article – differentiating between automating and scheduling is very important! Great article! So often ‘automating’ is confused with ‘scheduling’, and they are very different things – a lot of work and planning goes into scheduling, and its shouldn’t be discounted as a valid marketing tool. Thank you for this!